How can we serve God if we are not walking in His will? We cannot! If our bodies are full of sickness, diseases, growths, tumors, and pain, it’s impossible. Let me say that again, it’s impossible to serve Him in a successful and effective way, if we are sick! AMEN. Look at it this way, if we are walking in God’s will and walking in sickness and pain then we are not walking in His Word. We are not walking in complete deliverance! And we cannot be successful in our testimonies. We need to learn to walk in God’s will and trust God’s Word. I mean totally trust in every part of His Word. Jesus purchased us with His blood, and by His stripes we were healed, it’s in the Word of God. There are three witnesses in the Word; Witness # 1, He was wounded for our transgressions, he was bruised for our iniquities: the chastisement of our peace was upon him; and with his stripes we are healed, (Isaiah 53:5). Did you hear that? We are healed! It’s in the Word of God! Witness # 2, Matthew 8:17 says, “That it might be fulfilled which was spoken by Esaias (Isaiah) the prophet, saying, Himself took our infirmities, and bare our sicknesses.” And this was done, so we wouldn’t have too. One more witness, witness # 3, 1 Peter 2:24 says, “Who his own self bare our sins in his own body on the tree that we, being dead to sins, should live unto righteousness: by whose stripes ye were healed. This means we are already healed through faith in God’s Word, and knowing God’s Will. 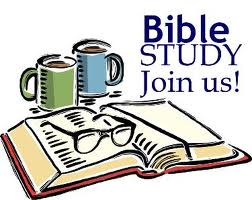 In this study we will look closely at God’s Word on “Healing.” We will examine a few healing devotions by the well-known pastor and author (Mark Brazee), also we will have a weekly prayer, quizzes, questions, and healing confessions to claim personally for our healing. May God bless us as we study to show ourselves approval to Him! Please pray that I will have time to study this, and continue my refreshing study course on Bookkeeping/Accounting. I need the time to do this, thank you so much. God bless you! Father God, in the name of Jesus, we pray for knowledge, understanding, and wisdom of this study. We pray that we will be enlightening with Your Word to live a healed life, so we can share this with others we meet daily. Your Word says that we are healed, and we stand on that Word in Your Son Jesus’ name, amen.